After many years as a successful pastor, Brian McLaren has found, as more and more Christians are finding, that none of the current strains of Christianity fully describes his own faith. 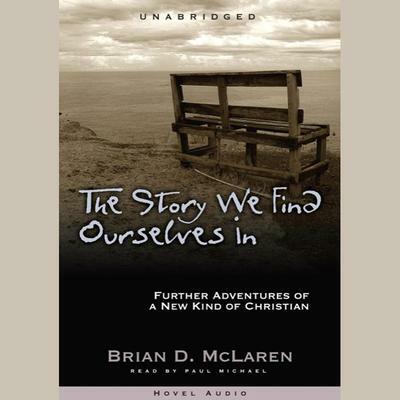 In The Story We Find Ourselves In — the much anticipated sequel to his award-winning book A New Kind of Christian— McLaren captures a new spirit of a relevant Christianity, where traditional divisions and doctrinal differences give way to a focus on God and the story of God's love for this world. If you are searching for a deeper life with God— one that moves beyond the rhetoric of denominational and theological categories— this delightful and inspiring fictional tale will provide a picture of what it could mean to recapture a joyful spiritual life.